The pattern can be found here. I actually love how it’s worked out. 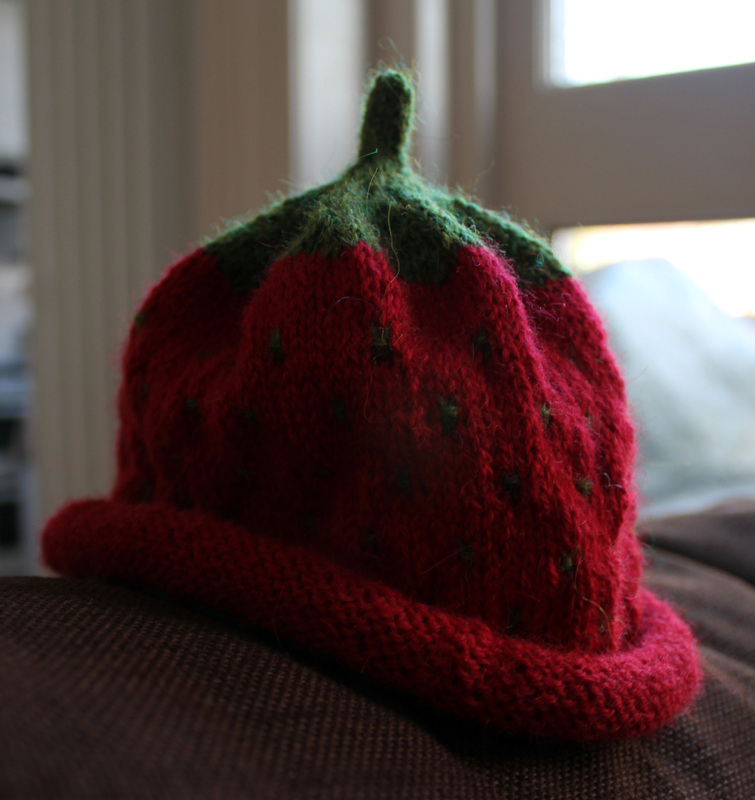 It’s the first time that I’ve even attempted Intarsia and it wasn’t even a huge amount if it, it was just a tiny bit for the leaf at the top of the hat/strawberry. The colours are also really nice, so vibrant! 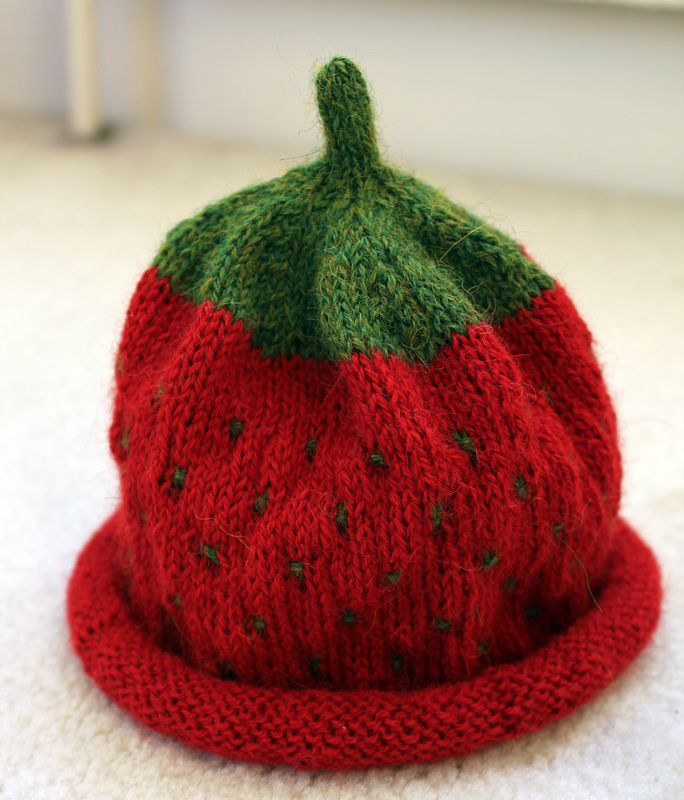 I do really want to knit one for Luke, but don’t really think it would suit him too well…maybe I can do another type of fruit instead? 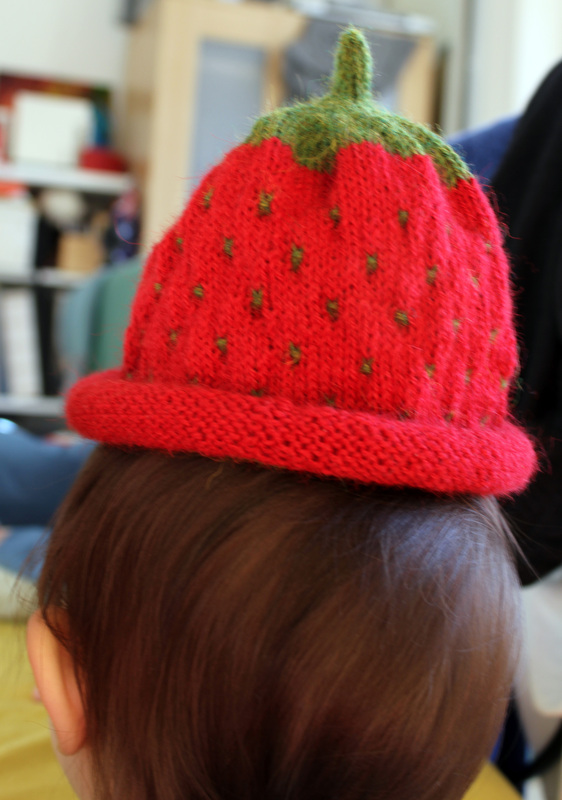 This entry was posted on February 11, 2012 at 10:08 pm and is filed under Baby, Knitting with tags hat, Luke, strawberry, strawberry hat, warm. You can follow any responses to this entry through the RSS 2.0 feed. You can leave a response, or trackback from your own site. Such a cute little hat, love it. Oh it’s gorgeous. So incredibly cute – great job! I really to try that one myself! it turned out absolutely adorable!